Just to let you all know, the third annual Haunted Halloween Reader Party kicks off today on Facebook. This is a great chance to win prizes such as free books, Kindles, Amazon gift cards, and other goodies. It’s all reader themed with most authors being from the urban fantasy/paranormal romance genres. 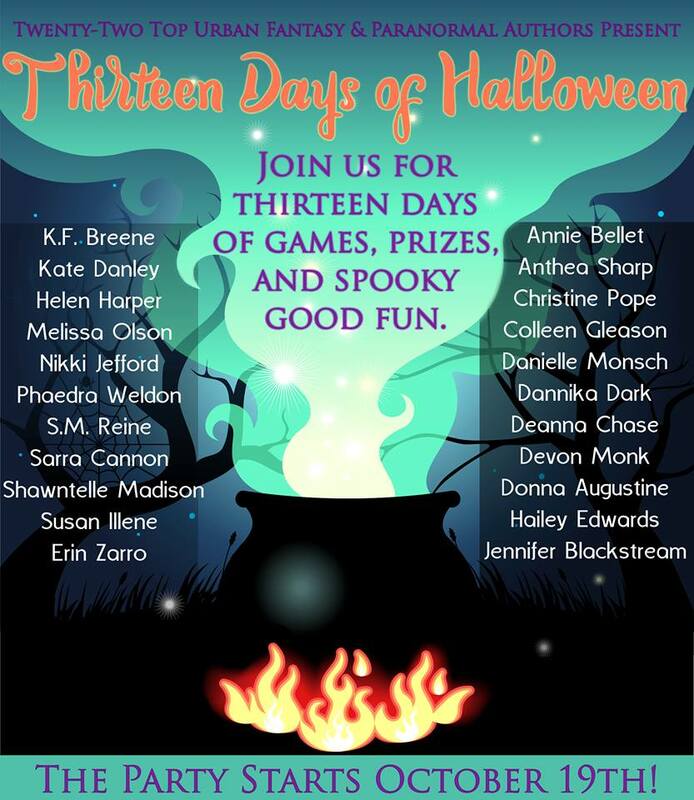 Today marks the beginning of a 13-day urban fantasy Halloween giveaway with many authors you may recognize participating (see banner below). Some of you have probably already heard about it on Facebook, but I wanted to spread the word here in case you missed it. Each day authors will be giving away prizes including signed paperbacks, ebooks, tote bags, Amazon gift cards, and some other great items. October 25th is my day and I’ve got several awesome prizes lined up including books and pewter dragon statues. There is also a grand prize where participants could win one of three Kindle Fires, but you’ve got to comment on special daily posts to enter.